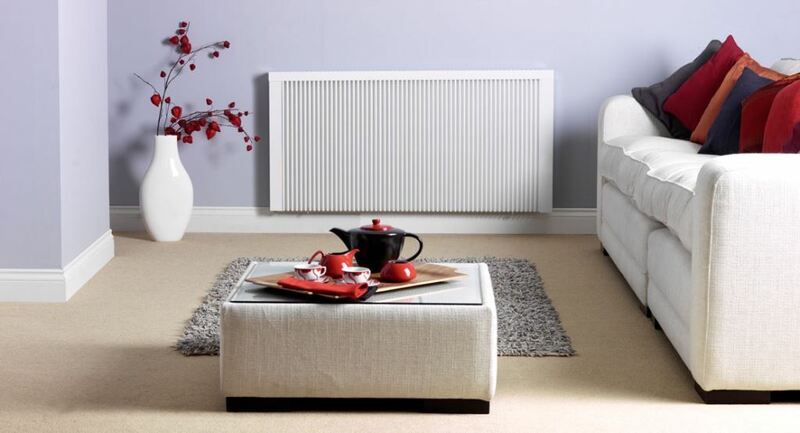 Here are five reasons why you should make the switch to a stylish electric radiator today. Contemporary fan-assisted radiators offer a more insulated approach to heating homes, especially as many top modern radiator designs come with Digital Time and Temperature Thermostats (TDI), and Magmatic Heat Retention tablets (MHR). These little MHR tablets have the unique ability to heat up from even the coldest temperatures in just 30 minutes, and after the radiator is turned off these tablets will have stored enough heat to continue releasing it slowly for another 40 minutes afterwards. This powerful radiator technology is also able to generate heat any time day or night thanks to its Multi Fin Design (MFD), which consists of small fins performing in a similar way to how a chimney does by circulating heat around a room evenly. The modern spot welded steel materials used in the construction of electric radiators ensure that they perform silently; a complete contrast to the noisy performance of a wet heater system. The combined effect of both MHR and MFD technology means that half of the heat produced by the radiator is radiated heat, while the other half is comprised of convected heat. When both kinds of heat are generated they make for ideal levels of heat distribution in modern homes. Another great characteristic of MHR and MFD is that they allow electric radiators to use low levels of power. In fact, the energy consumption is only a third of the level needed to run a storage heater. Modern electric radiators are multi-temperature controlled, allowing you to set individual temperatures for radiators located in different rooms of your home. You also have the option to alter this temperature to correspond with different periods of the day when heat may be required more or less. Modern electric radiators also feature easy to use thermostat controls that allow users to set and maintain a room’s temperature themselves instantly. Electric radiators are environmentally friendly compared to night storage heaters because the heat they produce is not the kind of dry burning heat that subsequently deposits carbon elements directly into the atmosphere. This carbon release can actually be hazardous to human health, especially for asthma sufferers. Electric radiators also provide other eco benefits as they can be powered using solar energy systems. This has the additional benefit of lowering electricity bills and reducing the carbon footprint of modern homes. Modern electric radiator systems are superior to night storage heaters in that they allow you to save money without the conditions of the Economy 7 tariff that is synonymous with the performance of night storage heaters. In contrast, electric radiators power the system only until it has reached the desired temperature, at which point it continues to produce heat without excessive electricity being used, thanks to the stored heat of the MHR tablets.Economy 7 is an expensive service that charges for the excessive power a storage heater uses, even after the system has reached its required temperature. Although the overall cost of using a radiator depends largely on the lifestyle requirements of the user, but several independent organisations have conducted surveys in which they monitored the energy consumption, running costs and performance between storage heaters and electric radiators, resulting in findings that clearly show the latter offering significant financial benefits. Electric heaters are also trendy and look stylish against the backdrop of a modern home. Their German designs are cutting edge and make the ugly, cumbersome look of old storage heaters look as outdated as the technology they contain. Electric radiators are made from first class materials like chrome-nickel steel which reduce performance noise while lessening the effects of corrosion for longer lasting quality. Your home can be made a healthier and safer place once you discard your old night storage heater for a modern electric radiator design. Visit HabenHeating.co.uk to replace your outdated model for a new radiator style now. If you have these radiators fitted to replace economy 7 do they still have to run on e7 tariff or can they run on normal electricity? « What to do if you think your Energy Performance Certificate is incorrect?